Dr. Barlow holds a Master's Degree in Psychology and a Master's of Education Degree in Community/Agency Counseling. She received her Ph.D. in Urban Education, specializing in Counseling and Psychology, through Cleveland State University. She has worked in private practice, specializing in assessments and counseling for over the past 28 years. Dr. Barlow is employed by PSI Associates, Inc. and has served as a School Psychology Assistant, under the supervision of Dr. Eric Wonderly, License No. 3888, for private, parochial and Montessori schools in the Greater Cleveland area for the past 17 years. She has provided educational services, including intervention, assessments and counseling at St. Francis Xavier School for the past 12 years. Dr. Barlow has been married to David for 22 years. Together they have three biological children, and have also helped raise two nieces. Dr. Barlow enjoys spending time with family and the family pets (two Yorkshire Terriers, a bunny, and two sugar gliders). Dr. Barlow feels blessed to have the opportunity to spend her time supporting her children and all of their activities. She enjoys being outdoors, shopping and vacationing with her family. Dr. Barlow feels very blessed to be a part of St. Francis Xavier School, where over the last 12 years, she has developed everlasting friendships. She enjoys seeing her students blossom as they progress from one grade to the next, not only academically, but emotionally and spiritually. 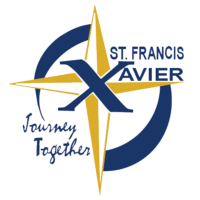 Dr. Barlow cherishes the opportunity to work with such great individuals and considers her St. Francis Xavier School community part of her extended family.